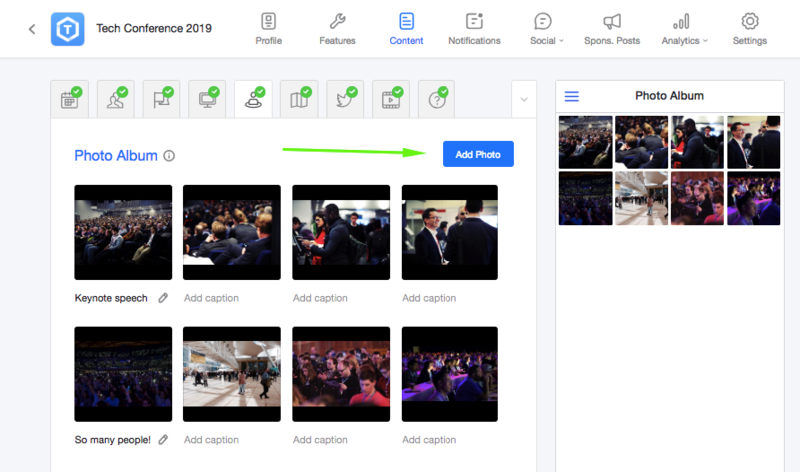 You can also add a caption for each image when editing the album or feature the image on the Event Profile. Just hover the mouse cursor over the image and click the Star icon. To change the order the photos appear in within your album simply drag them to position in the desired order. Please note, that app users cannot upload files to the feature, or download, comment on and share the images from the Photo Album. Here is how the album will look like in the app.